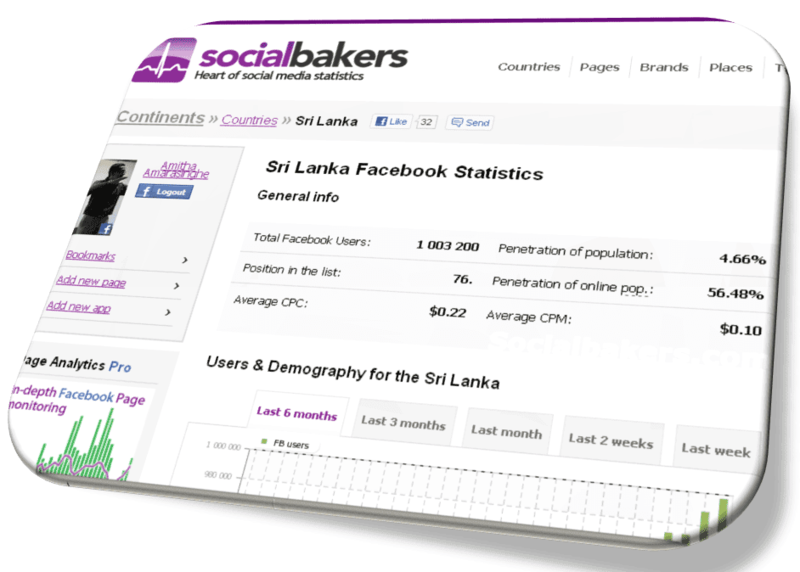 According to Socialbakers.com, last night Sri Lanka became the 76th country to reach 1 million users on Facebook. This happened, somewhere during last 48 hours, as the recorded figure stood around 997,600 when I last checked it on Tuesday. Awesome, isn’t it? But what’s so significant about this? 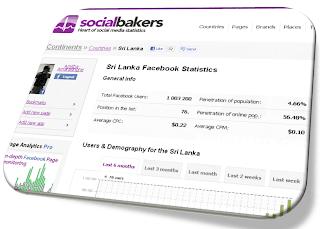 Having 1 million Facebook users means, one out of every 20 Sri Lankans are now having a Facebook account. This is a penetration of 4.66% into Sri Lanka’s entire population. Keep in mind, the user base is heavily skewed towards the western province and Colombo city in particular where the internet penetration is at highest. A brand which is heavily targeting this demography should start looking at Facebook as a more serious tool to have in their communications toolkit. 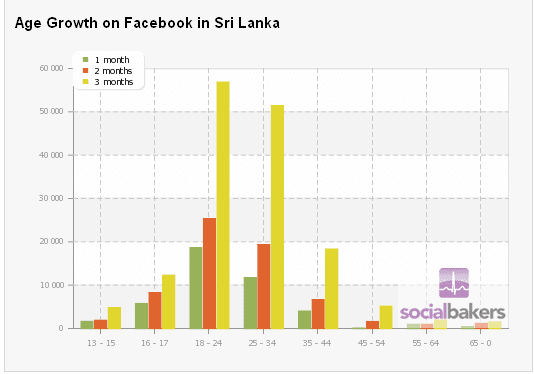 A common myth among most Sri Lankan brand managers is, to believe that Facebook is a place where the teenagers hangout. Following graph will show you that, only about 13% of the total Facebook users from Sri Lanka are under the age of 18. A significant majority of 74% of the users are in the age group of 18 to 34. In comparison, a market like Indonesia is having a 27% of users on Facebook, under the age of 18. It is interesting to see, from which age group the growth is mostly contributed. According to this graph, over the last 3 months the majority of the growth is contributed from the users in the age group of 18 to 24 and 25 to 34. 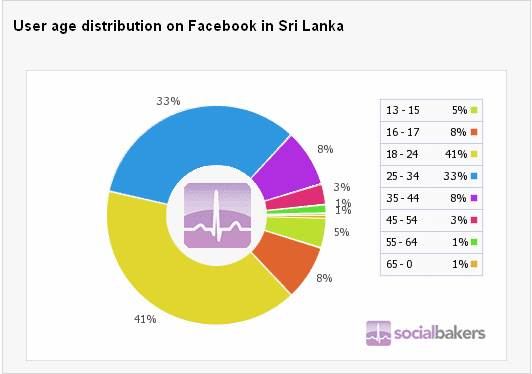 Popularity of Facebook among Sri Lankans contributed to several socio-cultural and political changes in the country. Facebook acts as a popular tool for the Sri Lankan diaspora to be connected to their friends and family in the homeland. According to many of my friends living abroad, Facebook is one of the main sources of accessing information and entertainment from Sri Lanka. (BTW, the 1 million Sri Lankan users doesn’t include the expats). Are you a Sri Lankan Facebooker? Let us know how you feel about this whole phenomenon. How did you get involved first, and what pluses and minuses you see in this ‘social utility’? Can someone tell me, how can I block the above person commenting on my blog? :-) I marked all his previous comments as spam, but still it happens!